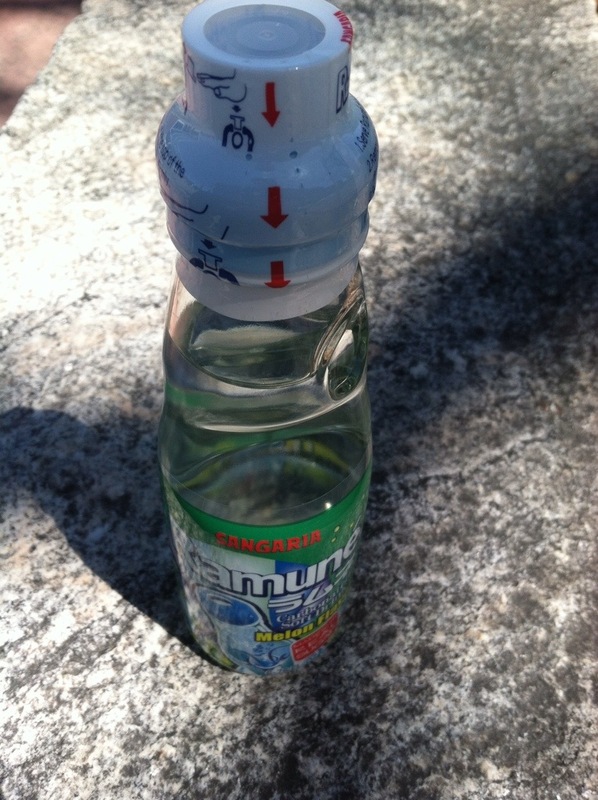 If you didn’t know, Ramune is a kind of Japanese soda that comes in a variety of flavours (some very odd ones, too). At my local Indian/Asian grocery, I got one, a melon-flavoured one. It was pretty good. Light, bubbly, you get the picture. But the coolest thing about it is easily the bottle itself. It is sealed with a marble, and you have to go through a semi-complex procedure to release the heavenly elixir. The bottle cost me $2.50 or something, but I’d say it was worth it, at least for the experience. 03 Jul	This entry was published on July 3, 2014 at 10:00 pm. It’s filed under Drink, Japanese, Treats, Uncategorized and tagged andrew, drink, food, heat, introduction, japanese, of, ramune, soda, vochman. Bookmark the permalink. Follow any comments here with the RSS feed for this post.